What's the cheapest rental available in Evanston, right now? According to rental site Zumper, median rents for a one-bedroom in Evanston are hovering around $1,250. But how does the low-end pricing on an Evanston rental look these days--and what might you get for the price? Listed at $835/month, this one-bedroom, one-bathroom apartment, located at 1607 Maple Ave., ##2 in Downtown , is 33.2 percent less than the median rent for a one bedroom in Evanston, which is currently estimated at around $1,250/month. This apartment features central heating, hardwood flooring and cabinet space. The building offers garage parking. Animals are not welcome. According to Walk Score's assessment, the surrounding area is a "walker's paradise," is a "biker's paradise" and offers many nearby public transportation options. Here's a studio apartment at 860 Hinman Ave. in Main-Chicago, which is going for $895/month. 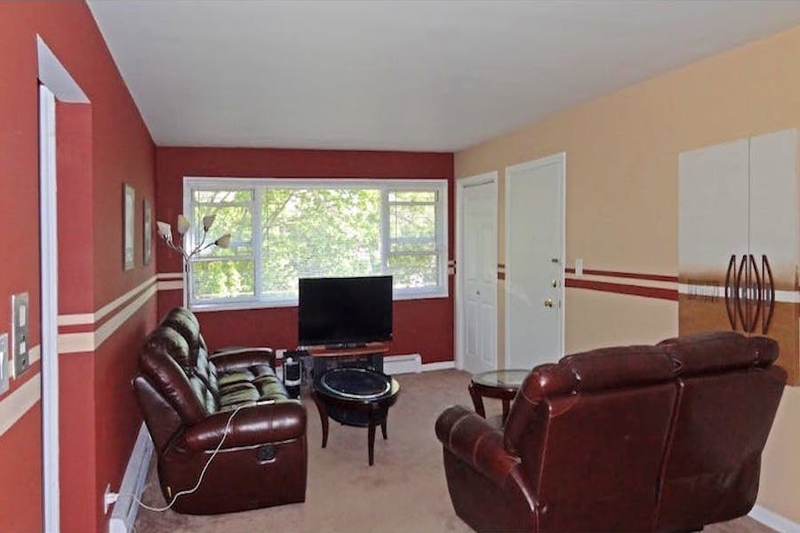 In this apartment, you'll find hardwood floors, ceiling fans and cabinet space. The building features a fitness center, an elevator and on-site laundry. There isn't a leasing fee associated with this rental. According to Walk Score's assessment, the area around this address is friendly for those on foot, is great for biking and offers many nearby public transportation options. Listed at $1,000/month, this 800-square-foot one-bedroom, one-bathroom apartment is located at Ashland Avenue and Dobson Street in Howard Street. In the apartment, expect both air conditioning and central heating, carpeted floors and a dishwasher. The building features on-site laundry, parking and outdoor space. Pet lovers are in luck: cats and dogs are welcome. There's no leasing fee required for this rental. According to Walk Score, this location is very walkable, is quite bikeable and has good transit options. And here's a one-bedroom, one-bathroom apartment at 560 570 Princeton Ave., which is going for $1,040/month. In the unit, anticipate both air conditioning and central heating, a mix of hardwood floors and carpeting. The building features outdoor space, on-site laundry and on-site maintenance. Both cats and dogs are permitted. According to Walk Score, the surrounding area requires a car for most errands, is quite bikeable and has a few nearby public transportation options. Over at 1303 Elmwood Ave., #204 in Chicago-Dempster, there's this one-bedroom, one-bathroom apartment, going for $1,075/month. In the unit, expect to find central heating, hardwood flooring and large windows. The building includes secured entry. Feline companions are allowed. The listing specifies a $300 move-in fee and a $50 cat fee. According to Walk Score's assessment, this location is extremely walkable, is easy to get around on a bicycle and offers many nearby public transportation options.